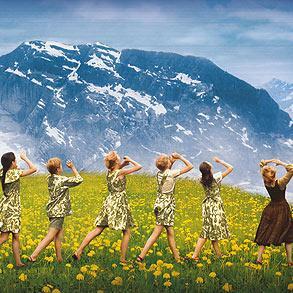 This winter, Truthbase Theatricals comes alive with The Sound of Music! Get a sneak peek at material from the show and prepare to give your best audition for TbT’s spring production of this beloved Rodgers and Hammerstein musical. With classic songs such as “Do-Re-Mi” and “So Long, Farewell,” The Sound of Music has become one of musical theater’s most cherished stories. As students sing and dance their way through the hills of Austria, it is sure to become one of their “Favorite Things” this winter! Students will rotate through a variety of acting, voice and dance workshops focusing on show specific techniques and script material. Students will also have an opportunity to further develop their audition skills by performing material in front of teachers and peers to receive valuable feedback and encouragement. The result? Students will enter auditions this spring with the confidence and skills necessary to present their very best! The Sound of Music Workshop is also appropriate for students who do not plan to audition for the show but wish to expand their musical theater skills and repertoire.